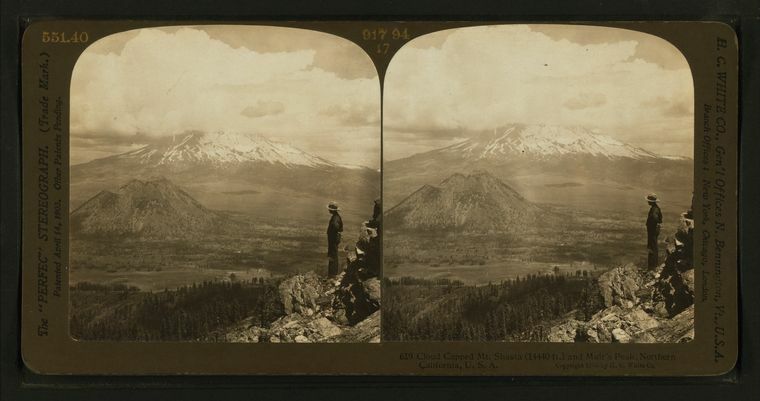 I stumbled upon an awesome collection of stereographic cards of the Mount Shasta area curated and placed online by the New York Public Library. The site also includes an interesting feature that creates 3D or animated versions of the stereographic cards (of course, the animated images will likely induce siezures, which makes this feature less fun). Most of the cards are from late 19th and early 20th century. It is a fascinating glimpse of the area’s history. It shows what the land and life was like 100 or so years ago. Interestingly, it shows the mountain from 3 of the 4 sides, including the rarely seen east side. It also includes some images from high up on the mountain. Though the view of Mount Shasta from the south is missing, it does feature a handful of images of the Castle Crags and the Shasta Springs vicinity. It is surprising how many remote locations are included and how recognizable they are (assuming, of course that I am right, which I may not be). I have done my best to identify where they were taken as best as I can. I hope this is found to be as interesting as I think it is. Somewhere in the Shasta Valley. I would say in the vicinity of Pluto’s Cave. Another view from the Shasta Valley. This one seems like it may be west of Edgewood, near the base of Parks Peak. A view of the east side of Mount Shasta. I am pretty sure this clearing is off of Military Pass Road, near where that road meets Deer Mountain Road. A view of the Whitney Glacier. Possibly from the Whitney Glacier headwall. A view east of Mount Shasta City and Mount Shasta from Rainbow Ridge. Possibly another view from Rainbow Ridge or perhaps from Mount Eddy. Looking east from near the Wagon Creek Cascades. Rainbow Ridge and Mills Meadow can be seen below Black Butte. 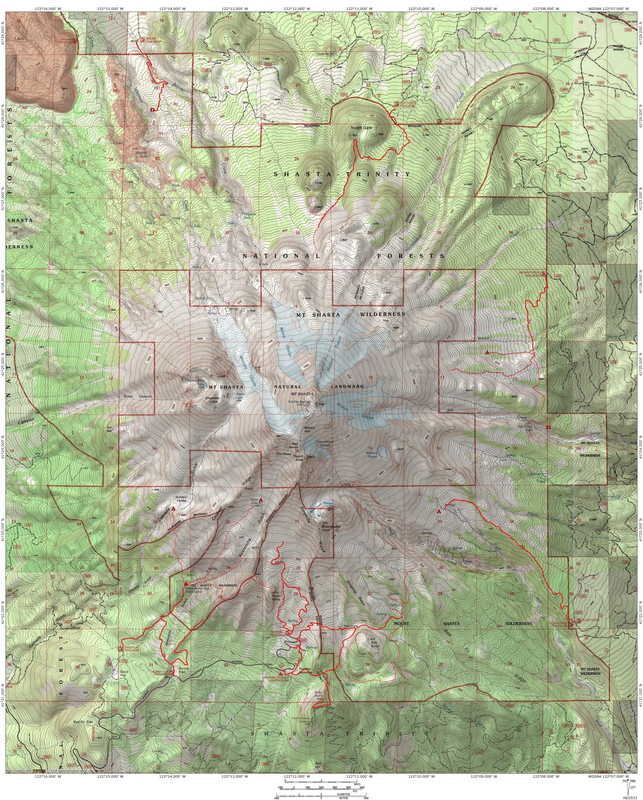 Note that Black Butte is identified as Muir’s Peak. This may be looking west, up to Mount Eddy. The Castle Crags rise above the Sacramento River. Somewhere on the resort property. A good stereographic image in the right viewer is incredible to see! I had a frined who collected and took stereo pictures. Really brings a nimage to life! Thanks!